ECFMG is pleased to announce that it has selected William W. Pinsky, MD, as its next President & Chief Executive Officer. 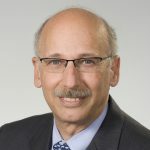 In this role, Dr. Pinsky also will serve as Board Chair of ECFMG’s Foundation for Advancement of International Medical Education and Research (FAIMER®). A distinguished pediatric cardiologist, educator, and medical executive, Dr. Pinsky will join ECFMG on July 1, 2016.